VANCOUVER – Canada will not meet its goal of zero-emissions vehicles making up 30 per cent of auto sales by 2030 without stronger policies to get more ZEVs on the road, say researchers at Simon Fraser University. “Current policies are unlikely to encourage sufficient ZEV adoption,” is the conclusion reached in a report released this week by SFU’s Sustainable Transportation Action Research Team. The 67-page document entitled Canada’s ZEV Policy Handbook was not meant to be prescriptive, said co-author Jonn Axsen, an associate professor at SFU’s School of Resource and Environmental Management. It’s more of a toolbox for governments to help decision-makers write the best possible policies to achieve the 2030 target, a commitment Canada has made with nine other countries. “For each option, the policy needs to be much stronger and longer lasting than anything currently in place in Canada,” Axsen said in a news release. The handbook was released as Ottawa wraps up its ZEV policy review. The federal government aims at introducing a national strategy next year. Or vehicle emissions standard that would decrease average light-truck and car fleet emissions to roughly 60 per cent below current levels by 2040. All have tradeoffs, the handbook says. Strong financial incentives are simple to implement but come at a high direct cost to government and are vulnerable to a public backlash over such spending. 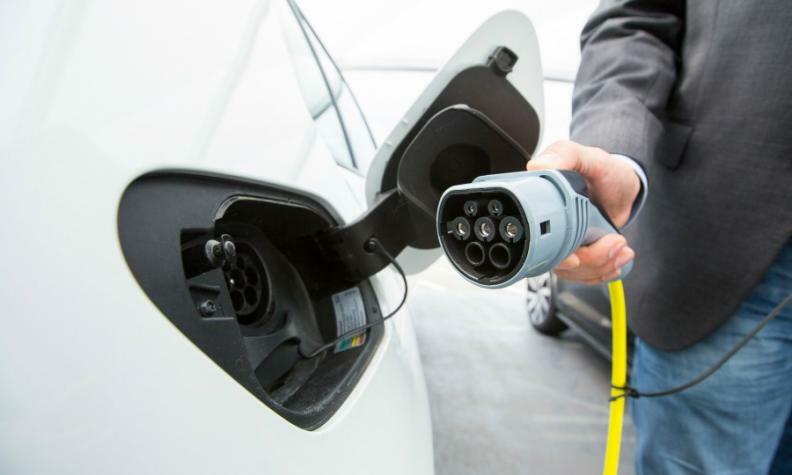 Currently only British Columbia, Ontario and Quebec offer incentives to purchase ZEVs and Quebec has also legislated a sales mandate. A strong ZEV sales mandate provides the highest certainty of effectiveness and sends a strong transformational signal to consumers and automakers at little direct cost to the government. But it’s complex to administer and automakers generally oppose quotas. Quebec will mandate 3.5 per cent of all new-vehicle sales in that province in 2018 be of the ZEV variety. A strong vehicle emissions standard is simpler to implement but the impact on ZEV market share is uncertain due to the variety of other compliance options available to automakers, the report says. “Because consumer adoption of ZEVs faces multiple barriers, policy packages that address the full spectrum of these barriers on both the demand and supply side have a greater chance of success, provide more certainty to consumers and industry, and are more likely to support a sustainable market,” the handbook concludes. The federally led ZEV policy review was launched last spring. A stakeholders advisory committee outlined policy options in five areas; supply, ZEV ownership cost-benefit, technology, charging and refuelling infrastructure and public awareness. A round of consultations among federal and provincial officials is underway. “I think the intention for the research group is that it [the handbook] makes its way to the policy dialogue to say ‘here’s how you can view different policies and here are the pros and cons of each but there are only a couple of pathways that will get you to serious adoption,’” former SFU professor Suzanne Goldberg, a co-author of the handbook who also served on the federal advisory committee, told Automotive News Canada.